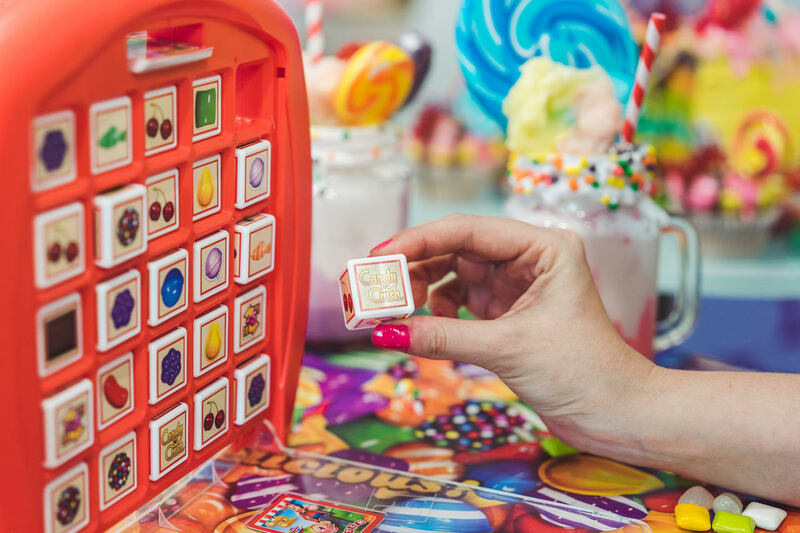 Candy Crush is opening a pop-up boardgame cafe at 19 Greek Street, Soho on Friday 16th and Saturday 17th June 2017, to help launch their new Candy Crush Boardgame. Set out over 4 floors there will be cakes, cocktails and more, plus los of places to play the games, which include Top Trumps. It's open to over 18s only, and is free to get into. "A new adults-only, pop-up board game café featuring super-sized games is coming to London’s Soho this month. Inspired by the sweet and delicious world of mobile hit game Candy Crush, the café celebrates the current range of Candy Crush-themed board games and is the latest in a wave of venues offering grown-ups the chance to indulge in an old-school pastime. The Candy Crush board game café will be spread out across four storeys taking commuters’ favourite mobile game to a whole new level. Adults will enter a world of pure temptation at the Cupcake Carnival on level one – a tasty cafe serving the best Candy Crush themed cocktails, wines, beers and soft drinks. Sweet treats will be provided by London bakery, Mary Lou’s Bakehouse – think Rainbow cake and cupcakes packed with lollipops, striped candy and popping treats. Visitors can compete against one-another with a game of giant Candy Crush Games in Caramel Cove on level two or go head-to-head in a game of giant Top Trumps Match at Salty Canyon on level three. Meanwhile on level four, guests can relax in the Sundae Stables with a game of Top Trumps, indulging in the ultimate sweet treat – a calorific freakshake. Throughout the venue, the very best 80s and 90s music will play courtesy of a roaming DJ. There will also be divine surprises along the way. A free event opens to those aged 18 and over (ID Required), Candy Crush Café is open 16th – 17th June. Entry is free and on a first come, first served basis. Arrive early to avoid disappointment. Prices start from £4.99 for the Candy Crush board games and are available at http://shop.winningmoves.co.uk." When - Friday 16 June. 4pm - 11pm. Saturday 17 June 11am -11pm.